Tight mini-dresses. Baggy layers. Jumpers. Crop tops. Platforms. Plaid. Plaid. Plaid. 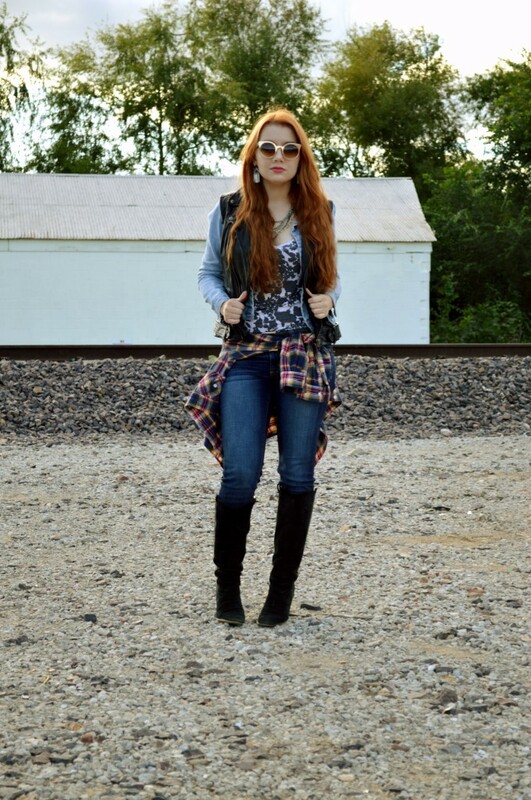 ALL THE PLAID! I was not the right age to participate in many of the best trends of the 90s; I was the right age, however, to adore the older girls and guys who did, which means it will forever live in my head as one of the coolest styles ever. It’s like the same way I’ll always have a small crush on Shawn and intense cravings for fruit snacks—everybody’s got those childhood things they still adore. Starting now, I’m making up for lost time. Excluding the fruit snack thing. I never stopped buying those. There is literally a fruit snack wrapper in front of my keyboard as I type. Don’t be jealous. 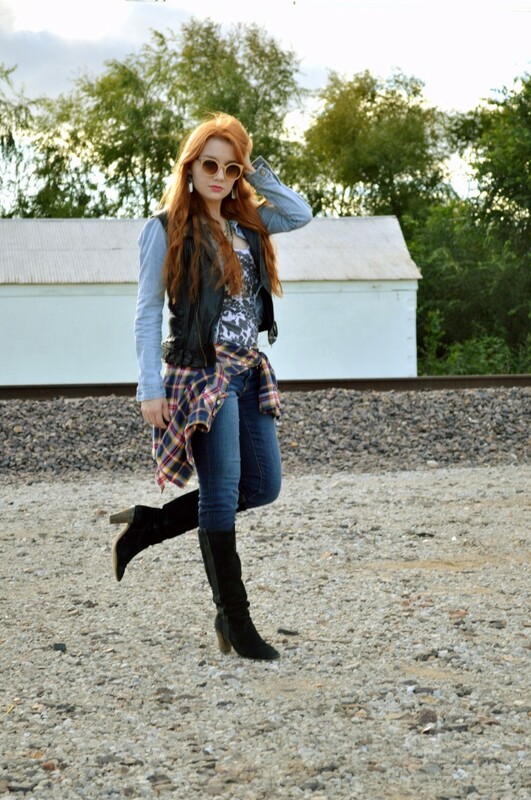 I have been wishing and hoping for cool weather so I could start wearing this vest, a.k.a. my new favorite piece of the season. 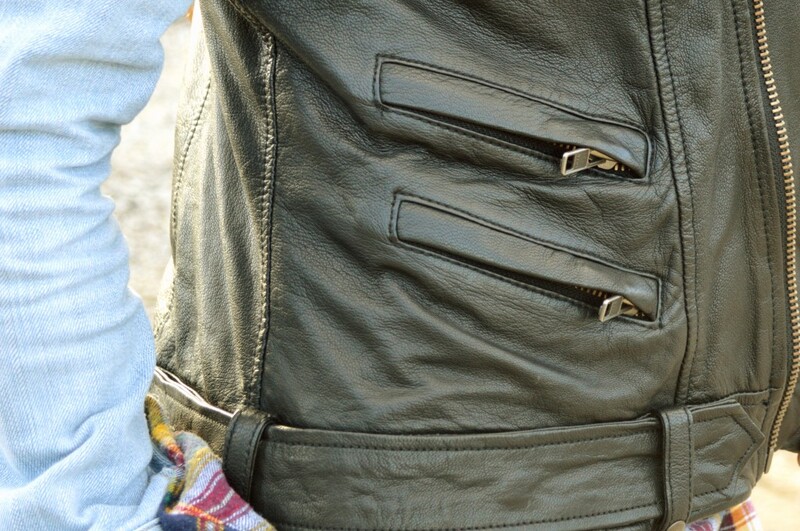 And there’s nothing like a leather vest to finish off the denim-jacket-and-flannel look! It adds warmth, it toughens things up, it emphasizes the bust… Those are three of my favorite item requirements. Remember the Off Fifth B1G2 free sale I lost my damn mind about? This vest is the one item I purchased; it was marked down from some $500 to $199, and came complete with two other designer pieces—the last of which will be featured on the site soon. Speaking of leather, I’ll be styling an outfit featuring some equally-amazing leather pieces at tomorrow’s Saks Fifth Avenue Fall Contemporary Event at Plaza Frontenac. 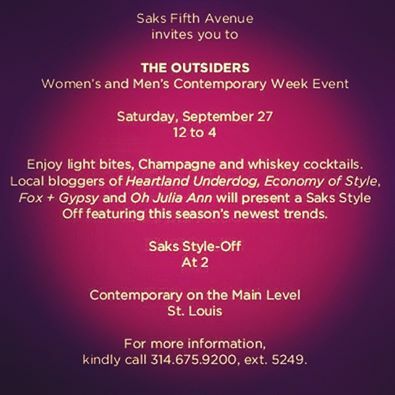 I’m participating in a blogger Saks Style Off at 2 p.m.; if you’re in the Gateway City, stop by for fashion, light bites, whiskey cocktails, Champagne and more. Looking for an excuse to have an afternoon cocktail (or two) and shop? Did I just name two of your favorite things? Thought so. See you there.